Everyone knows that it is traditional for the newlyweds to share a first dance at their wedding, but what about all that other stuff that the DJ keeps announcing? What is a dollar dance, anyway? We've compiled a handy catalog of the most common formalities for you to share with your friends and family before the wedding day! One of the most exciting and energetic segments of the night, Introductions put you in the spotlight and set the tone for the entire evening. Some couples take this opportunity to introduce important people in their lives, from grandparents, to parents, to friends and family in the wedding party, while others opt to share the moment with each other, being announced solo! It is typical for each group to have a specific song chosen for their entrance, which our music mixer plays on cue while our Headliner Emcee introduces the pair with energy and enthusiasm. The video below shows an in-depth Wedding Introduction. The couple's First Dance is often held directly following Introductions. This ensures that every guest's attention is focused on the couple as they share an important moment in their new life as newlyweds. Some couples also choose to share a Special Dance with another relative at this time, such as a Father/Daughter or Mother/Son Dance. We have also had couples share a special dance with grandparents, uncles, aunts and children! Alternatively, any of these dances can be saved for after dinner. Watch the video below to see how this couple elevated their first dance with our Dancing on the Clouds feature. These formalities often take place before the main course is served for dinner. A welcome toast is an optional greeting often given by a parent or trusted relative to thank family and friends for attending the special occasion. While all toasts are optional, it is tradition for both the maid/matron of honor and best man to say a few words. Some couples want to hear from everyone, and we have seen up to 10 toasts given in one evening! A blessing is often recited by the wedding officiant or a relative of the newlyweds. The Anniversary Dance is a great way for the couple to bring their celebration full circle by acknowledging guests who have been successful in their marriage. There are two ways to perform the anniversary dance. Your DJ can begin by inviting all married couples to the dance floor and progress through the event by "eliminating" couples until the longest married couple is left on the dance floor. Alternatively, your DJ can start by asking all couples "married for 24 hours or less" to join the dance floor and progressing until all married couples have joined in the celebration. This is a great way to get all of your guests out of their seats and open up the dancing portion of the evening. Cake Cutting can occur at any time of the evening. Whether the cake is large or small, this important formality showcases the couple's love for each other and can be elegant and formal or silly and messy! Some favorite musical selections for this event include "Sugar" by Maroon 5, "How Sweet it Is'' by James Taylor and anything by Frank Sinatra! Once the more formal wedding traditions are completed, many couples incorporate Dollar Dances and Shoe Games into the evening. 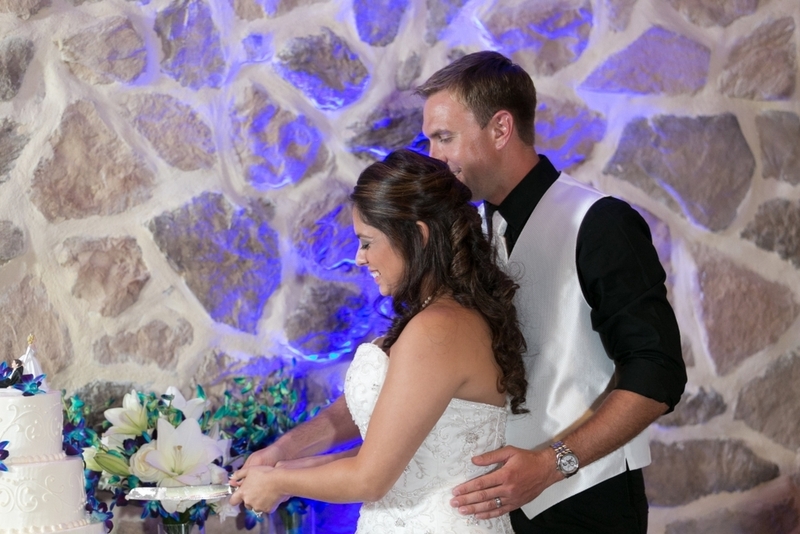 These formalities add to the fun and excitement of the atmosphere of any wedding. 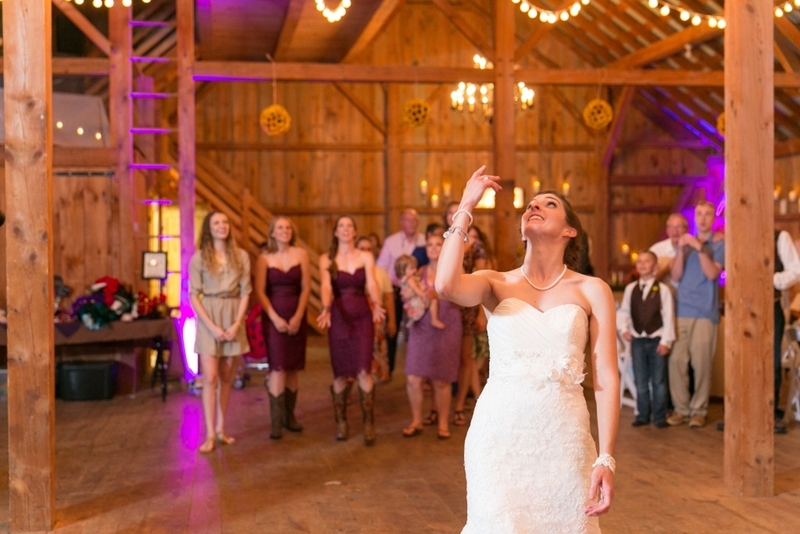 Dollar Dance gives family and friends a moment to personally share in the celebration with a bride or groom. The Maid/Matron of Honor and Best Man collect a fee from guests who then dance with one of the newlyweds. It is common for 3-5 songs to be used for the Dollar Dance depending on the number of guests participating. The Shoe Game once again puts the couple in the spotlight. Seated back to back in chairs at the center of the dance floor, each newlywed holds two shoes: one of their own and one of their partner's. One of our Headliner Emcees then asks a series of questions, which are answered by holding the person's shoe who the answer most applies to. Laughter ensues! While the Garter and Bouquet is a time-honored tradition among weddings, it can be modernized and customized to reflect the couple's personal style. Some couples choose to do a traditional bouquet toss only, while others perform a garter removal and toss, with the recipients of the garter and bouquet getting a chance in the spotlight! We often use a different song for each of these portions of the garter and bouquet formalities to motivate and encourage participation. There it is! All of your wedding formalities explained! Klock Entertainment has more than a dozen DJs and Emcees to help you navigate all of these activities seamlessly.